Do you find yourself lacking motivation? Occasionally? Every day? Right now, even? Well, join the club! You’re in good company. It happens to the best of us and has all sorts of causes. You may be tired, overworked, overwhelmed; the list goes on and on. But, at the end of the day, you still have work to do and goals to achieve. If you’re reading this post, you’ve already set yourself apart by proving your ambition to get motivated and reach your goals! There are tons of ways to get motivated. Many you’ve probably heard before, like throwing back a strong coffee, getting a pep talk from a friend or turning off all electronics. Although those tips are great and some I definitely approve of! But, I’d like to offer some less common methods, which you may not have considered before and will absolutely get you on track. We’re often overwhelmed by the fear of worst-case scenarios. Have you ever experienced a similar inner monolog? Your brain latches on to one negative idea and before you know it, you’re following a breadcrumb trail to the worst possible outcome! Instead, why not focus on the best possible outcome? Say you’re completely unmotivated and thoroughly procrastinating getting started on your book writing. Rather than envisioning what could go wrong with not doing it, imagine what could go great from getting started! Firstly, you’ll feel way less stressed from having stopped your procrastination. Secondly, you’ll be a million miles closer to achieving your goal of publishing your book. You’ll have a feeling of accomplishment and pride from overcoming your de-motivation and getting cracking at your goals! Next time you’re in a rut, list three positive outcomes of taking action. As mentioned earlier, there are tons of options for external motivation. Unfortunately, though, all of these are essentially “band-aid” solutions. In other words, a quick fix. If you’re looking for lasting motivation, one you don’t have to rekindle every time you’re in a tough spot; look inwards. Find motivation within yourself. It stems from your heart, your mind, your dreams and aspirations. Why are you trying to achieve a specific goal, such as writing your book? Is it to support your business? Is it to make your family proud? Once you’ve answered these questions, your internal motivation will be very clear. We don’t take on challenges and big dreams, just for the sake of doing it! We all have a motivation and to take action, you must identify yours. First and foremost, don’t be so hard on yourself! We all struggle with motivation and procrastination. Some days are easier than others, but the days where we struggle can feel like the longest and most disappointing. To keep things a bit fun and light-hearted, give yourself praise reminders! If you have a smartphone, laptop or tablet, you surely have an alarm clock or reminder function, where you can title or name the specific alarm/reminder. If you know there’s a specific time of day where you feel the most de-motivated, set a praise reminder! Maybe it’s in the last hour before lunch or halfway through your scheduled writing block. Just set an alarm with a friendly message to encourage and fire you up! You got this! Don’t quit now! You are strong, determined and ambitious! You can do this! Remember your WHY and keep going! There’s no right or wrong praise reminder. Make it silly or make it serious with one of your favorite inspirational quotes! It really doesn’t matter, as long as it gets you pumped up and refocused. Next time you’re struggling through a task, create an incentive; something you are looking forward to or can enjoy only after you’ve completed said task. Also, the key is to make the reward something unique and truly special, not something you have on a regular basis. Otherwise, the incentive loses its shiny luster and your motivation may weaken. So, are you motivated yet?! Are you ready to take action and get one step closer to your goals? I bet you are! Let us know in the comments below how you’ve implemented some of these tips into your routine. 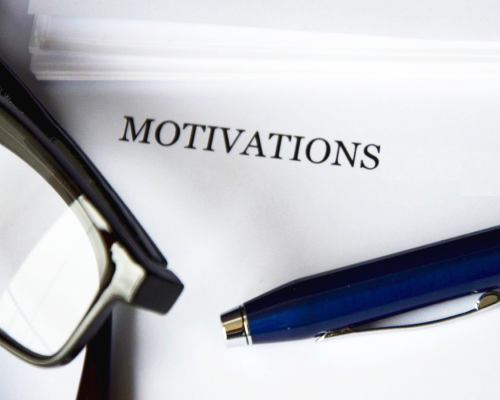 Do you lack motivation? I’d like to offer some less common methods, which you may not have considered before and will absolutely get you on track. Tags: finding motivation, Motivation in 3 2 1…GO! Must read and remember all these points. I neeeeed more motivation! Great post! Motivation is very important. These tips can be used by anyone.